Hello, world! It’s Friday, June 9th and you know what Friday’s mean out here. It’s Tech News time. This week Apple took the stage at San Jose today kick off their annual developer conference, WWDC and boy it was packed with great announcements. So this week’s news edition is dedicated to WWDC 2017. The list of announcements includes the new version of macOS, updates to the Mac lineup including the badass new iMac Pro, the new version of iOS and the new WiFi connected speaker the HomePod. That’s a lot of jam-packed news so let’s get started. Every year, the April – June timeframe is a treat for developers as almost all majorly tech companies, be it Facebook, Microsoft or Google, holds their annual developer conference and almost all of them are packed with excitement as companies give the audience a sneak peek into what they’ve been working on along with new products for the developers to play with. Apple doesn’t hold back either. Each year the Cupertino-based company conducted the World Wide Developer Conference (WWDC) in one of the locations in California to announce exciting new iterations to their platforms and devices. 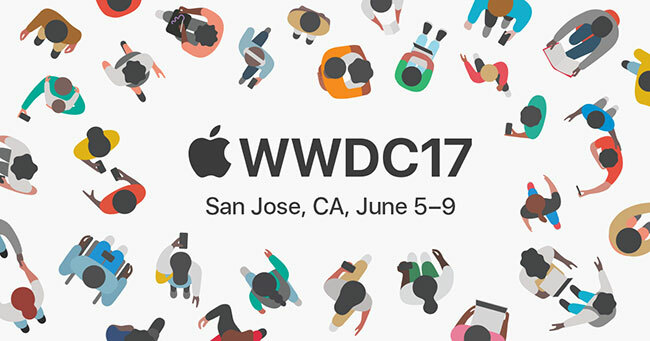 Just like every year, this year too Apple held the WWDC in San Jose and it was the biggest WWDC so far in their over 3 decades of history. This week Apple swept people off their feet with some pretty big announcements and one of the major ones were the new version of macOS. Craig Federighi took the stage to unveil the next iteration of macOS, macOS High Sierra and surprisingly enough it’s actually not a joke. The justification behind the name is that High Sierra is supposed to be an improvement over Apple’s current version of macOS and brings performance improvements across the system without any noticeable visual difference or feature additions. 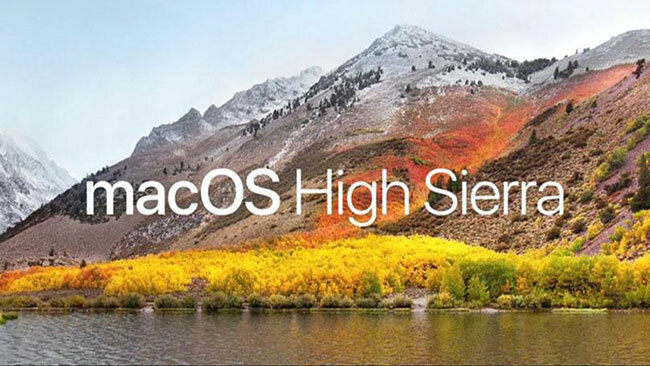 Branding aside, High Sierra is supposed to be a refinement over Sierra. Let’s go over one of the most significant improvements that come in High Sierra is the new and improved file system, it’s hard to believe that the Macs still run on a filesystem was developed more than 30 years ago. The big advantage is that APFS can replace all the existing file systems Apple currently uses across its platforms. APFS is suitable for macOS, iOS, tvOS and even watchOS. Not only does APFS come with new features and the ability to take over everything, but it’s also built to last. Apple plans to use it for years to come, and the company has taken steps to ensure that APFS is capable of handling anything that will be thrown at it in the foreseeable future. Apple filesystem brings a lot of improvements for the Mac like crash recovery and protection and better write speeds. In order to test out macOS High Sierra, download the public beta although since it is a beta, you must watch out for bugs. Along with the new filesystem, the new macOS also comes with a new Photos App and improvements to the mail app which significantly reduces the storage space it takes up for emails. This week at WWDC, aside from the numerous software announcements, Apple also took the opportunity to update their entire Mac lineup. First up, the Macbook Pro which was launched late last year. The Macbook Pro with Touchbar is the latest pro machine from Apple and this week it was updated to the latest Kabylake processors from Intel. While this may be a minor update, it’s worth noting that the 2016 Macbook Pro was supposed to launch with the Kabylake chips from the verdict beginning. Next, comes the 12-inch Macbook which also received a similar spec bump, nothing too fancy going on here. Where things get interesting are with the iMac lineup. Apple’s iMac lineup has received an almighty boost. They now have improved brightness of 500 nits and use 10-bit dithering.The processor has had a bit of a boost too. The iMacs will now be fitted with Intel’s 7th-gen Kaby Lake processors. They are specced with more memory than ever before: up to 32GB on the 21.5-inch display models and up to 64GB of memory on the 27-inch models. Apple’s Fusion Drive storage system is now standard on all 27-inch iMacs and can be specced on the 21.5-inch models. The solid state storage drives (SSD) also now work up to 50-per cent faster and can be specced up to 2TB. Also, the entry-level 21.5-inch iMac now has Intel Iris Plus graphics, while the 21.5-inch iMac with 4K display uses discreet Radeon Pro 555 and 560 GPU processors.The 27-inch iMac can now be specced up, too. You can get up to 8GB of VRAM, providing 5.5 teraflops of processing power, ideal for VR creation. Connections-wise, these iMacs will be gifted with two USB-C ports that support Thunderbolt 3. They are now available. The 21.5-inch iMac will start at $1,099, while the 21.5-inch with a 4K display is $1,299, and the 27-inch with 4K display starts at $1,799. Now let’s get to the biggest announcement on the hardware end. The iMac Pro. Apple’s “trash can” Mac Pro was a complete disaster. And if you’ve been reading our coverage regularly, you may have read that Apple is working on a new iteration of the Mac Pro which they will announce in 2018. But meanwhile, they have listened to the requests of the Pro users and come up with a beast of a machine that is the iMac Pro. It is an all in one desktop with killer specs. Let’s get the numbers out of the way first. 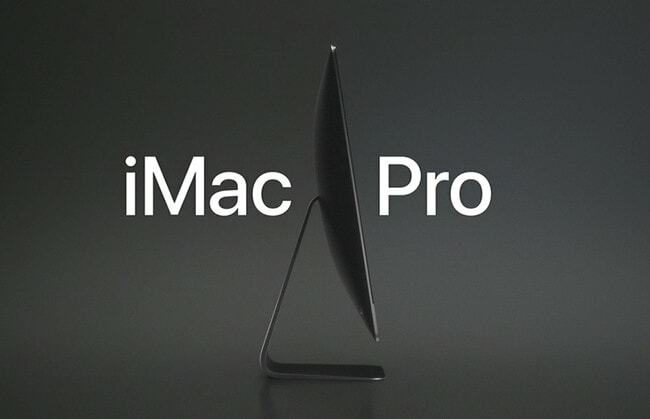 The iMac Pro is based on the 27-inch 5K iMac design. 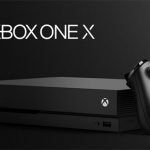 The starting configuration equips you with an 8-core Xeon, but there will be options for 10-core or 18-core versions too. It’s not just the CPU that’s ramped up, but it will be equipped with the new Radeon Vega GPUs, offering up to 16GB of vRAM, up to 4TB of SSD, up to 128GB of ECC memory, four Thunderbolt 3 ports, and built-in 10GB Ethernet. Apple said this is the most powerful Mac that it’s ever made. Of course, this $4,999 machine isn’t pitched at the average consumer, it’s for those who want to develop in the VR environment for that new VR support. Apple said it will be available from December 2017. Another interesting update to the Mac lineup was the update to the 7-year-old MacBook Air. The machine that should have been dead is being revived again with a new CPU due to still strong sales of the laptop. Again, it is just a minor spec bump for an aging machine. The biggest software announcement at WWDC has to be iOS. Every year Apple bumps up the version of iOS and bakes in new features to the system. 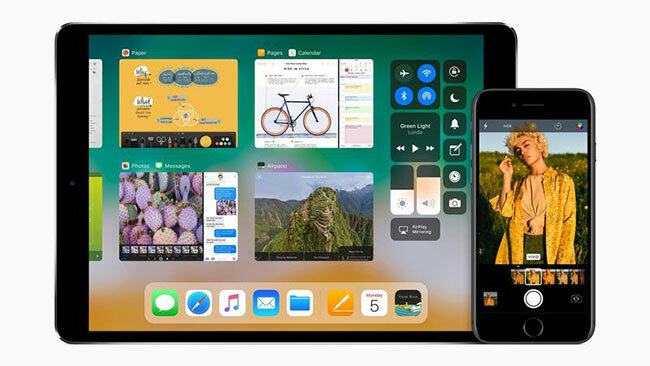 This time they went all out with the new iOS; iOS 11. iOS 11 is a huge improvement over iOS 10 with special attention to the iPad experience. Let’s get into some of the new features that come with the new version of the popular mobile OS. The first major noticeable change comes with the Control Center. Unlike previous versions of iOS, this one’s full screen and not paginated. The Control Center also makes use of Force Touch on newer iPhones to fine tune the control levels. While the design may take some time to get used to, it’s certainly a welcome change. Next up, iMessage, iMessage now backs up to iCloud so your messages carried over to your new device when you make the switch. You also have the Apple Pay integration in iMessage which will now allow you to make peer to peer payments in the chats. All payments are authenticated via Touch ID. There are majorly underlying changes to optimistic the OS like the camera app now uses HIEF compression so your pictures will take up less space on your device. You can edit Live Photos across different frames and pick a key photo as well. Where iOS 11 gets extremely interesting is the iPad front. On iPads iOS is supercharged for productivity. The dock can now be as long as you want and can be invoked from any app. The most interesting addition is the files app which is kind of like Finder for iOS and it finally supports the productivity that the tablets had promised us. You can drag and drop content from app to app and things get so much more usable. The App Store is redesigned for better discovery along with a new Today section. On the iPad, your handwritten notes are now searchable, thanks to Deep Learning. iOS 11 will ship as always in the month of September but you can download the public beta and give it a test run. It was long rumored that Apple was working on its own version of a smart speaker like the Amazon Echo which comes with Alexa. The internet gave it all kinds of names like Apple Home, Siri Speaker etc but it saw the light of the day this week at WWDC in the form of HomePod. Yes, the iPod branding is still strong! HomePod is Apple’s music device for the Home. It is built to do at home, what the iPod did for music on the go. With the HomePod, Apple is not only targeting the smart speaker market with players like Google and Amazon already out in the market but also premium speakers from companies like Sonos which aren’t essentially smart speakers. The HomePod comes with the A8 chip so it does pack in a lot of power. But the question is what will that kind of power be used for? Let’s get into it. Much of the HomePod announcement was a music first approach. They mentioned things like beam forming and the ability to sense the place where it is placed to optimally direct audio to the listeners. It comes with Siri so you can ask all your basic questions you normally would with Siri on the iPhone. The HomePod will also be able to control your HomeKit enabled devices so you can control your lights etc with a voice command to the speaker itself. The HomePod will ship during the holidays and comes in 2 colors. This new device from Apple will set you back $349 and will first ship in the US, UK, and Australia with more regions to be announced in the first half of 2018. This brings to the end of the technology news for the week. See you next week. Till then keep reading! It looks like each Tech giants it’s upping its game more than ever: the struggle is real. Nice article, just waiting for few of them to come to India.